Wilson Bentley was born in the season of winter, and snow, specifically snowflakes, became his passion. 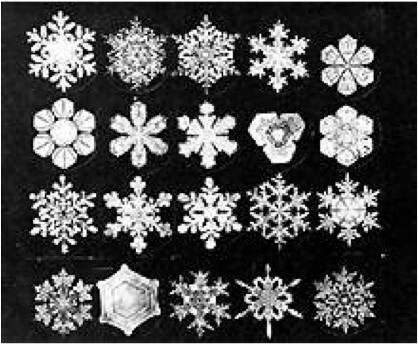 A self-educated farmer, from rural Jericho, Vermont, "Snowflake" Bentley became the first person to photograph a snowflake on glass plate in 1885. His innovative process involved capturing snowflakes on black velvet and photographing the image via a camera connected to a microscope. During his lifetime, Bentley amassed over 5,000 snowflake photographs! 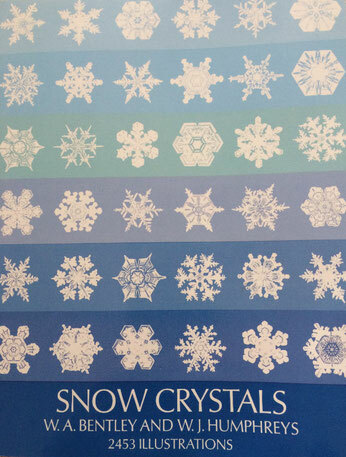 These images are so beautiful, his book Snow Crystals remains in print today! You can also see his stunning photographs and photography equipment in Jericho, Vermont, home to the Snowflake Bentley Exhibit at the historic Chittenden Mills. Children enjoy reading his life story in the Caldecott Award winning book, Snowflake Bentley. Mary Azarian's woodcut illustrations take you back in time and capture Wilson's wonder and perseverance. Needless to say, it's an inspiring read - even for those who dislike snow. If you live in the greater Baltimore/Washington D.C. region, you can see a few of Wilson Bentley's snowflake photographs AND Mary Azarian's artwork and woodblock tools at the exhibit, Beyond Words: The Artistry of Illustrated Children's Books.